GCJ is sponsoring a group of women who have formed themselves into a farming collective (leaders pictured below). The group is called “Kazoza Kumukenyezi” which translates as “The woman’s future”. These are strong women, mostly widows, who said, “We want to take care of ourselves, we didn’t want to go to the city and beg.” They are currently farming on little scraps and corners of land that others are sparing them, but they need land, tools, and seed to support their efforts. There are currently 104 women in the group, and they are able to raise enough to help support not only the nutritional needs of themselves and their families but also to sell some surplass in the market to generate income. They raise two crops in a year, peanuts and rice. They have a leadership group of amazing women who have put together this vision in a place of very scarce resources. 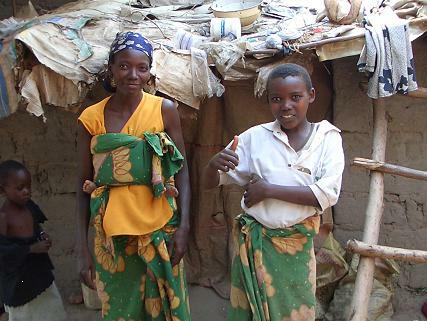 Several GCJ delegates traveled to Burundi in summer of 2008 and connected with these women and other residents of Carama district and Bujumbura through the help of our host partner, Prosper Ndabishuriye. GCJ has been a sponsor and supporter of this women’s collective since then. The group has flourished: over the years we’ve helped them add to the acreage, purchased tools, and seeds. They’ve had great crops with food to feed their families plus a surplus to the sale and make some extra money to help their children go to school. Burundi was struck by severe flooding in 2014. Tragically over a 100 people died, many homes were lost, and the women’s’ fields were totally washed out, along with the loss of their entire crop, all their tools, the storage shed, seeds, etc. We helped replace the tools a few years ago. Now, in 2017, we hope to continue working with the women of Kazoza Kumukenyezi (“The Women’s Future”): they now have an opportunity to purchase adjacent land to expand their business and capacity. 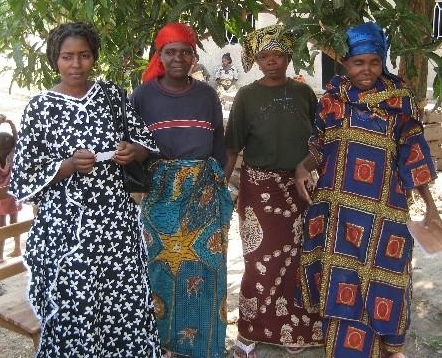 Want to support this womens’ Burundi project? Just click here to donate. Our host is Prosper Ndabishuriye, the founder Youth in Reconstruction of a World in Deconstruction (JRMD/YRWD), an organization devoted to building homes for displaced Burundians. After the genocide in 1993, Ndabishuriye decided to do something to help his country—bring Hutu and Tutsi youth together on a mission to replace the thousands of homes destroyed by war. As they traveled through the countryside together on a bus, their unity in the face of violence and hatred was the only thing that saved their lives at roadblock after roadblock.